The festive break is fast approaching and it’s that time of year when so many of us are thinking about sending Christmas cards. Of course, there are those that send a group email or post a message on Facebook by way of a Christmas greeting. But for many, including the team at Jackdaw Design, a good old handwritten Christmas card is the only way to send season’s greetings. The first Christmas card was sent by Victorian entrepreneur Sir Henry Cole in 1943 as a timesaver, instead of writing individual letters. And it’s a tradition we’ve continued to this day. In fact, over a billion Christmas cards will be sent in the UK this year. The downside, of course – and it’s a big downside – is the huge amount of paper and card that’s used. 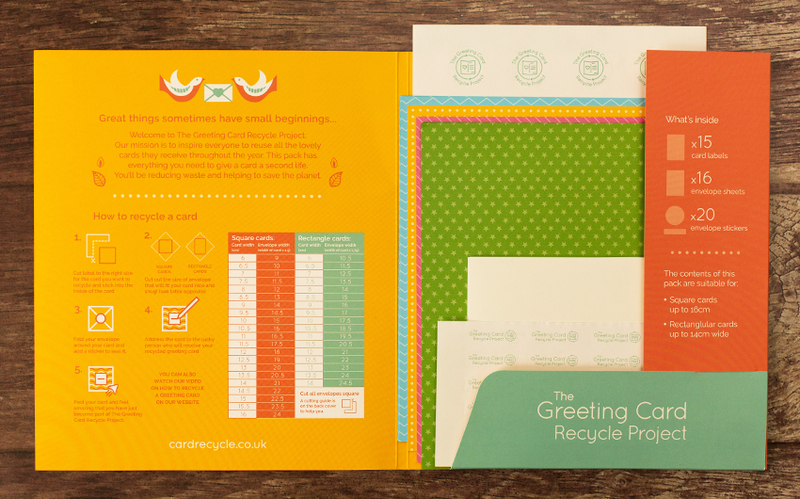 So this year, at Jackdaw, we’re doing our bit for the environment with the help of our friends at The Greeting Card Recycle Project. The Greeting Card Recycle Project is a simple yet effective way to recycle Christmas cards and give them a second life. 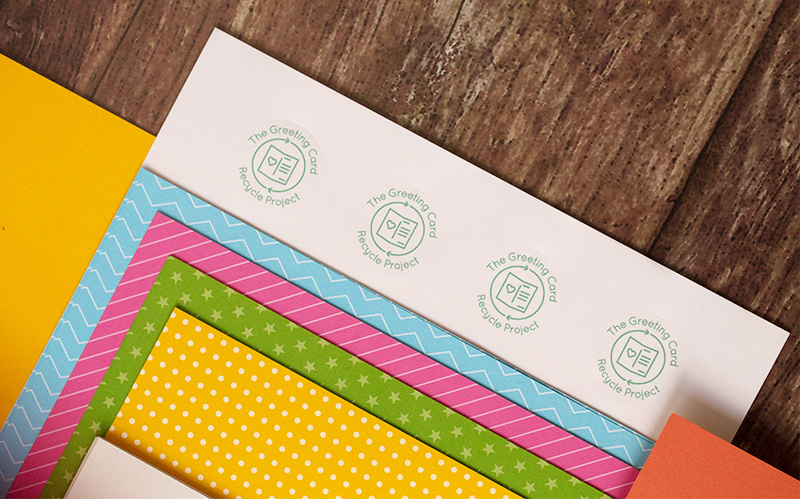 Their 100% biodegradable Greeting Card Recycle pack includes everything you need to reuse your cards, including envelope sheets, card labels and envelope stickers. And the look and feel of the packs including the striking colours and geometric patterning was designed by Jackdaw Design. Are you going green this Christmas? If you want to buy your own packs, visit the The Greeting Card Recycle Project website or the Wellcome Collection Shop in London.